U.S. Pat. No. 1,142,326: Combined scarecrow and advertising device. 1. 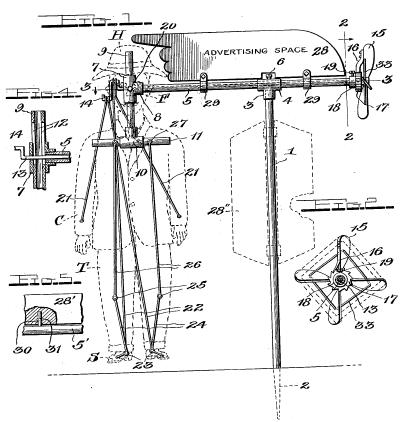 A scare crow comprising a horizontal bar pivoted upon an upright axis, a vane thereon whereby the bar will be turned around its pivot by the wind, and a garment hanger carried by said bar.